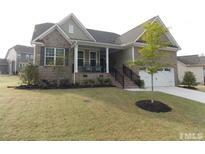 Below you can view all the homes for sale in the Austin Creek subdivision located in Wake Forest North Carolina. Listings in Austin Creek are updated daily from data we receive from the Raleigh multiple listing service. To learn more about any of these homes or to receive custom notifications when a new property is listed for sale in Austin Creek, give us a call at 919-230-8729. 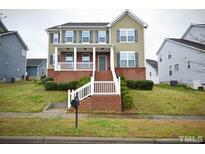 Upstairs provides a huge bonus room, large fourth bedroom with a full bath. MLS#2249138. 1445. This home backs to a lovely wooded natural area. MLS#2248952. 3789. Neighborhood amenities include pool, linear park, tot-lot, dog park. MLS#2239177. 1128. Community features pool, playground, trails, tot lot, linear park, cabana & dog park! May consider lease w/option. MLS#2239323. 3478. A community pool and park are part of the Austin Creel HOA. MLS#2236925. 4823. Lives like a single family home with all the low-maintenance advantages of a townhome. MLS#2231900. 3789. Lives like a single family home with all the low-maintenance advantages of a townhome. MLS#2231902. 3789. This home is under construction and will be ready in May. MLS#2231546. 3789. This home is under construction and will be ready in May. MLS#2231550. 3789. Upstairs provides a huge bonus room, large fourth bedroom with a full bath and a walk in attic ideal for storage. Private wooded homesite. MLS#2228712. 3789. Upstairs you will find 4 bedrooms, including a luxurious owners' suite. MLS#2227509. 3789. Tank-less hot water heater. Great community amenities. MLS#2219036. 3789. Unfinished basement provides additional opportunity for expansion. MLS#2215700. 3789. This home’s 2nd floor features 3 secondary bedrooms; as well as a spacious master bedroom retreat featuring a sitting area with fireplace, spa bathroom with large walk-in closet, dual vanities, and a separate soaking tub/shower. MLS#2215678. 3789. This is a wonderful home in a beautiful community. MLS#2209145. 3789.